Ice Stadium Höchstadt an der Aisch. 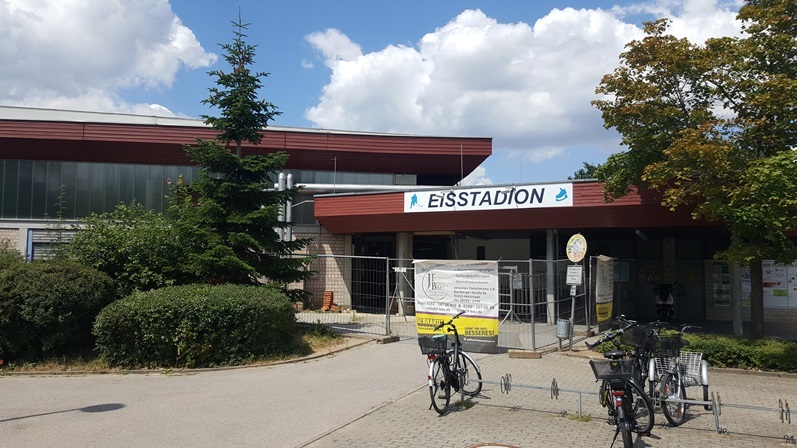 The ice rink in Höchstadt, which has a capacity of 2,000 people with 280 seats, was built in 1993. Since the construction of the stadium, the hockey team Höchstadt Alligators is located there. The team plays since 2018 successfully in the ice hockey league. Green, white and purple are the logo colors of the ice hockey team. The ice rink is open to the public every day of the week except on Tuesday and the season runs every year from 1st September to 29th March. 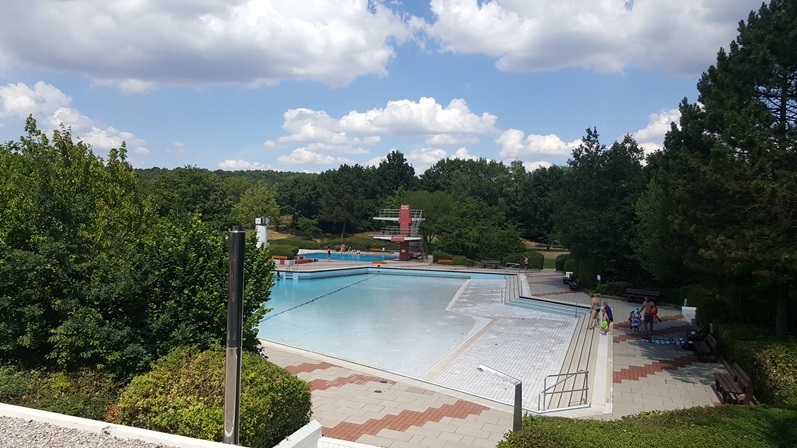 The outdoor pool is open from May to September. In the outdoor pool you will find a separate non swimmer pool and a sports pool with a length of 50m with 8 lanes. It has a lifting wall, with which the basin can be divided. A 5m diving tower on a separate diving pool is also available. There is also a wave pool, beach volleyball field, starting blocks and a kiosk.